Experience at your own pace on a Blue Mountains self drive golf tour. 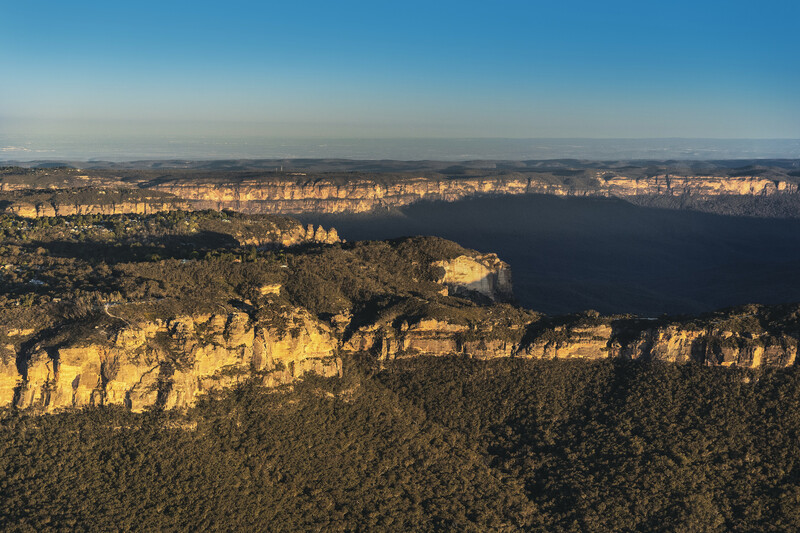 Less than two hours from Sydney by car or train, the Greater Blue Mountains World Heritage Area is one of Australia’s most spectacular natural parks. The area also offers an enormous variety of activities to enjoy. Bushwalks abound in the region and are an excellent way to take in the natural attractions, with trails to suit all ages and levels of experience. The golf courses located in the heart of the world heritage listed Blue Mountains are picturesque with spectacular views, and at over 370 metres above sea level they take advantage of the beautiful temperate climate of the region. Sun setting over Narrowneck, Katoomba with views of The Three Sisters in the World-Heritage listed Blue Mountains National Park. To request a quote for your own bespoke and unique tour to the Blue Mountains, please complete the form below. We will be back in contact as soon as we receive your submission. Start packing your bags! Katoomba is a great base for exploring the Blue Mountains with its abundant accommodation, restaurants and shopping areas. Blackheath is one of the highest towns above sea level in the Blue Mountains. Here you can enjoy crisp mountain air, brisk walks, great food and cosy accommodation. This historic town is on an escarpment that has spectacular mountain scenery on both sides. It’s one of the best places to stay if you want to enjoy some of the highlights of the Blue Mountains National Park has to offer. Leura perfectly captures the spirit of the region with fresh mountain air, stunning scenery, cosy accommodation and many places to eat well. Known as the “garden village”, Leura also has many fine gardens and grand old homes, some of which are open to visitors. Don’t miss the celebrated National Trust-listed Everglades Gardens. Springwood is a delightful Lower Blue Mountains town, that makes an excellent base for enjoying the many natural attractions of the Blue Mountains National Park. You’ll find spectacular mountain views from Yellow Rock Lookout and Hawkesbury Lookout. Don’t miss the Norman Lindsay Gallery and Lindsay’s Cafe located between Springwood and Faulconbridge.